Daily Net Traffic Review – The Biggest Scam This Year? Cryp Trade Capital Review | Is Cryp Trade Capital A SCAM? Webokane Review – The Biggest Scam Of The Year? Welcome to my Webokane Review! If you are searching for a way that you can make cash online, then Webokane could be an opportunity to explore. It is currently getting a lot of attention, doing the rounds on Social Media. In fact, there is much hype and buzz going around including Webokane affiliates trying to get people interested. In this Webokane review, we will take an in-depth view of the company, looking at the product range they offer, and also what Webokane & their compensation plan looks like. We are also going to check out whether they treat their members fairly, and whether the business is legit or it’s all indeed a real scam. Webokane is the latest MLM (multi-level marketing) opportunity that is up for this full review treatment. Okane means “Money” in Japanese, and thus WebOkane means WebMoney. The company makes a rather fair first impression upon first glance. Much of the lackluster meet and greet is because of the lack of background information. Webokane gives no information on their site revealing who runs or owns the company. Moreover, you will not find any specifics when searching for the registration of the Webokane website’s domain. And while you can easily check the domain registrar and find that Webokane.com was privately registered on June 7, 2016, there’s no word on who registered the domain or where they were when they registered the domain name. And so, they obviously do not want anyone to find out who they are. Even with these roadblocks in place, I was able to dig deeper and discovered various Webokane admin emails which reveal they were signed-off on by the name of Dillon Kreider, which means that he is the man behind Webokane.com. Kreider is no newcomer to the world of MLM, having been involved in the world of the network marketing underbelly since as late as 2015. He launched Trader Agency back in 2015, where he was first seen acting as its Founder and CEO. Trader Agency was a pyramid-scheme which saw members joining for $100 a position/pop. Trader Agency seems to have finally shut down late 2015. Trying to access the Trader-Agency website today will simply re-direct you back to that of Webokane. Webokane typically operates from a cloud office. What Are The Webokane Products? Moving right along to the Webokane product line that they have to offer, there is actually not much to talk about here at all. That is because Webokane isn’t selling or marketing any products or services to retail clients, and this means that it is impossible for any retail sales to take place at all. This is never good when you are dealing with any legit MLM opportunity, but this is, unfortunately, the situation which is currently on our hands with Webokane.com. With all of that said, it’s worth mentioning that affiliates are only able to market and sell Webokane affiliate membership itself as the product. They offer no further details as to what these seminars or library actually contain. What About Webokane’s Compensation Plan? 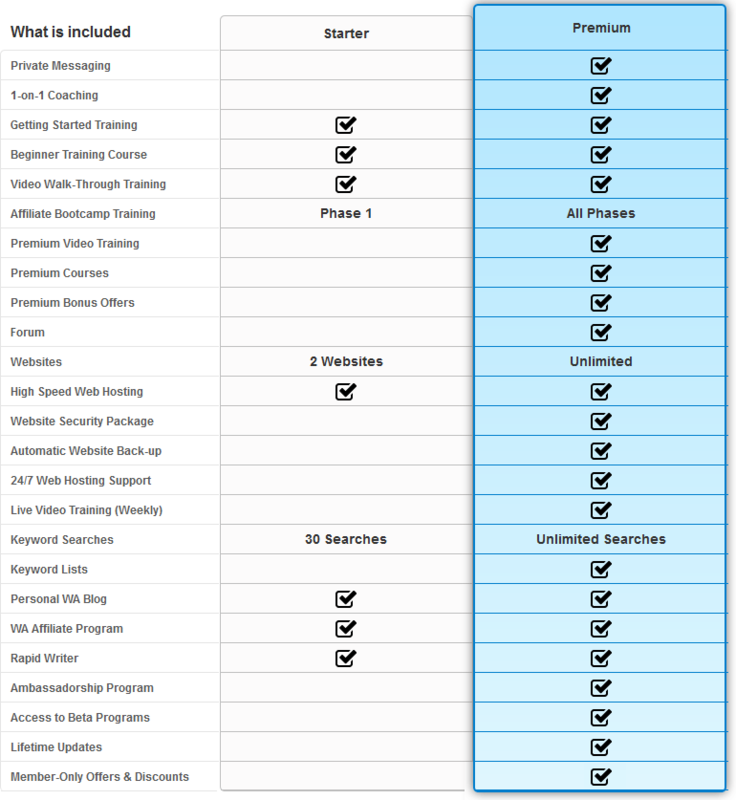 Taking a look at the Webokane compensation plan, in a nutshell, Webokane affiliates make their cash by purchasing a membership and then recruiting or signing up new affiliates who do the exact same thing. There are 2 membership levels – Silver and Gold. Whenever a Gold affiliate recruits another Gold member, they get rewarded with a $20 direct recruitment commission. In addition, Gold affiliates have access to a compensation plan that is paid out via a 2×13 matrix system. With the Gold setup, you have 13 recruitment levels as opposed to the 3 that the Silver setup offers. The Webokane compensation plan further states that the company places 10 percent of company-wide revenue into “leadership-shares” for “top-producer” affiliates. These are presumably Webokane affiliates who sign up the newest members, however further specifics aren’t provided. In order to join Webokane, you will need to sign-up for either the Gold or Silver membership plan. Silver costs $35 a month, while Gold costs $150 a month. Opting for the more expensive Gold plan increases your overall income potential in the company through their compensation plan. So, Is Webokane Legit or Scam? So, like with all MLM business opportunities, you may be wondering whether Webokane is legit or just a scam going on. Well, to be honest, Webokane isn’t really a scam or anything like that. However, this doesn’t mean that there aren’t things you need to be aware of. Webokane, like Trader Agency before it, is a recruitment driven pyramid scheme. The affiliate memberships exist to collect money, which Webokane affiliates earn commissions based on recruitment efforts. That is pretty much the only kind of activity that takes place within Webokane. Besides, bundled e-books and seminars solely exist as pseudo-compliance, with a pyramid scheme position being the real product sold. Webokane will only be around so long as there’s a constant flow of new members joining the company. However, as with all pyramid schemes, once Webokane affiliate recruitment dies down this company will be facing a collapse. Dillon Kreider sits at the top of the Gold matrix and will easily have made the lion’s share of all the cash at that point. I have been recommending the affiliate marketing training at Wealthy Affiliate ever since I discovered this great online community of entrepreneurs. They will actually show you step-by-step instruction on how to set up a website and have it earning you online commissions. They are a no hype, proven and successful online business community that suits both newbies and already experienced online marketers. By far, it is the best system that I see that actually produces real results for people who aspire to be their own bosses. They offer so much inside the platform and many people have used the training to create their own income producing online business. These are all regular people like me and you who simply took action on what they learned. This course will enable you to understand the full process and have you taking action on what you learn. The premium membership ($49/mth) is available and is geared towards people who are more serious and ready to take their affiliate marketing business to the next level. I would suggest you join the starter membership to see if this is for you then upgrade to the premium once you are really ready to amp things up. Read my review before you join as this will help you to gain a much better understanding of how you will be making the money. Trust me, this really works once you follow and implement the steps. I look forward to seeing you finally succeed online with a proven system (Wealthy Affiliate) and I will be there to help you every step of the way! Thank you so much for reading my Webokane Review today and if you have any questions, please leave them in the comment section. Also, if you think that this post can help someone else to understand what the Webokane system is all about, feel free to share it. 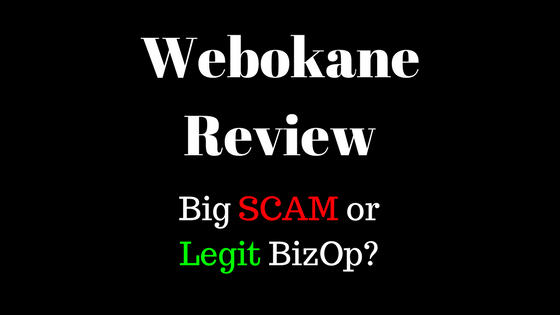 2 Responses to Webokane Review – The Biggest Scam Of The Year? Thanks, Jason, for the heads up on Webokane. It’s definitely a product I will NOT pursue and waste my hard-earned cash on. Wealthy Affiliate, on the other hand, is an excellent product which I’m definitely going to join! You are welcome, Barb and thank you for checking out my Webokane Review.